봉선홍경사는 고려 현종 12년(1021)에 창건된 절이다. 절이름 앞의 ‘봉선(奉先)’은 불교의 교리를 전하고자 절을 짓기 시작한 고려 안종(安宗)이 그 완성을 보지 못하고 목숨을 다하자, 아들인 현종(顯宗)이 절을 완성한 후 아버지의 뜻을 받든다는 의미로 붙인 이름이다. 현재 절터에는 절의 창건에 관한 기록을 담은 비석만이 남아 있다. 갈비(碣碑)는 일반적인 석비보다 규모가 작은 것을 말하는데, 대개는 머릿돌이나 지붕돌을 따로 얹지 않고 비몸의 끝부분을 둥글게 처리하는 것이 보통이다. 하지만 이 비는 거북받침돌과 머릿돌을 모두 갖추고 있어 석비의 형식과 다르지 않다. 거북모습의 받침돌은 양식상의 변화로 머리가 용의 머리로 바뀌었고, 물고기의 지느러미같은 날개를 머리 양쪽에 새겨 생동감을 더하고 있다. 비몸돌 앞면 윗쪽에는 ‘봉선홍경사갈기’라는 비의 제목이 가로로 새겨져 있다. 머릿돌에는 구름에 휩싸인 용이 새겨져 있다. 이 비는 비문의 내용으로 보아 절을 세운 지 5년이 지난 고려 현종 17년(1026)에 세운 것으로 알려져 있다. 비문은 ‘해동공자’로 불리던 고려시대 최고의 유학자 최충이 짓고, 백현례가 글씨를 썼다. 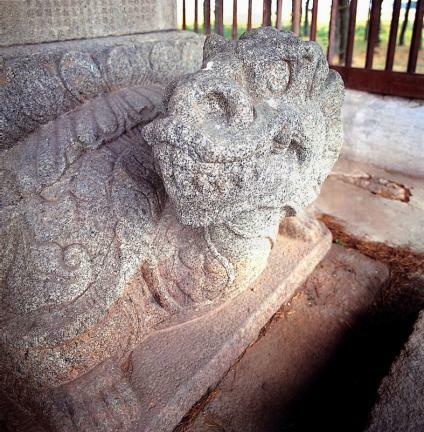 This atypical stele has a capstone and a tortoise-shaped pedestal with a dragon’s head. Generally speaking, small stone steles are not topped with either an ornamental capstone or a roofstone, but with a rounded head instead. 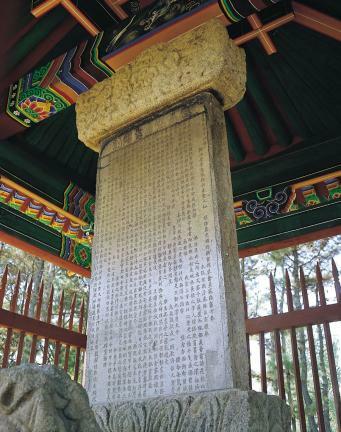 The site at which the stele stands now was previously occupied by a Buddhist temple named Bongseonhonggyeongsa, which was built in 1021 (the 12th year of the reign of King Hyeonjong of the Goryeo Dynasty). 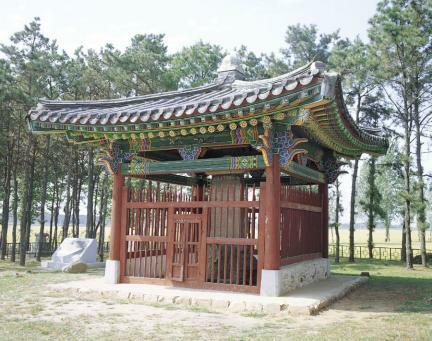 The temple’s original name was Honggyeongsa, but it was renamed Bongseon (literally meaning “to honor the predecessor”) by King Hyeonjong, who fulfilled his father King Anjong’s wish to complete the temple in order to propagate Buddhist teachings. 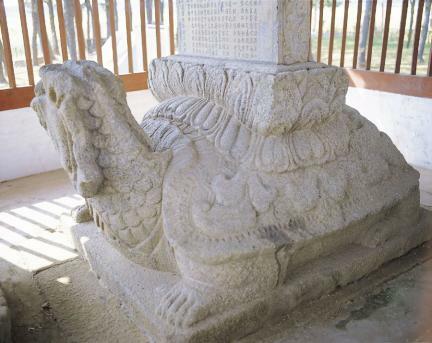 Steles or monuments were generally erected on a tortoise-shaped pedestal, but the pedestal of this stele has a tortoise-shaped body and a dragon’s head with a fin-shaped wing on each of its sides, showing some changes in style. 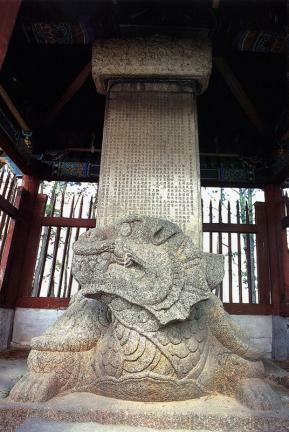 The stele’s name is horizontally carved on the upper part of its body, while a dragon surrounded by clouds is carved on the capstone. 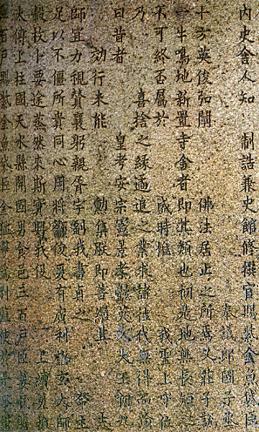 The inscription was composed by Choe Chung, who was also known as Haedong Gongja (“Eastern Confucius”)) due to his reputation as one of the greatest Confucian scholars of the Goryeo Dynasty, and was calligraphed by Baek Hyeon-rye. 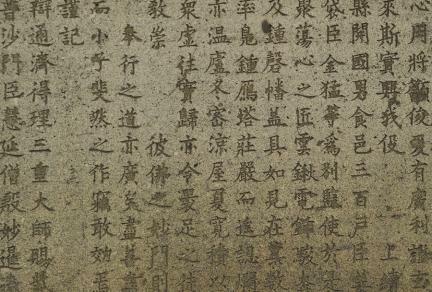 The inscription states that the stele was erected in 1026 (the 17th year of King Hyeonjong’s reign), that is, five years after the construction of the temple.